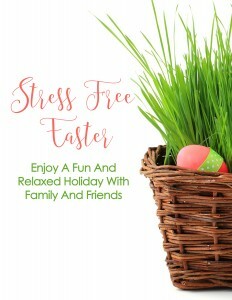 It's always fun to get together with family and friends for a celebration and Easter is one of the favorites. What better way to start spring than sitting down to a nice lunch or dinner with your loved ones. 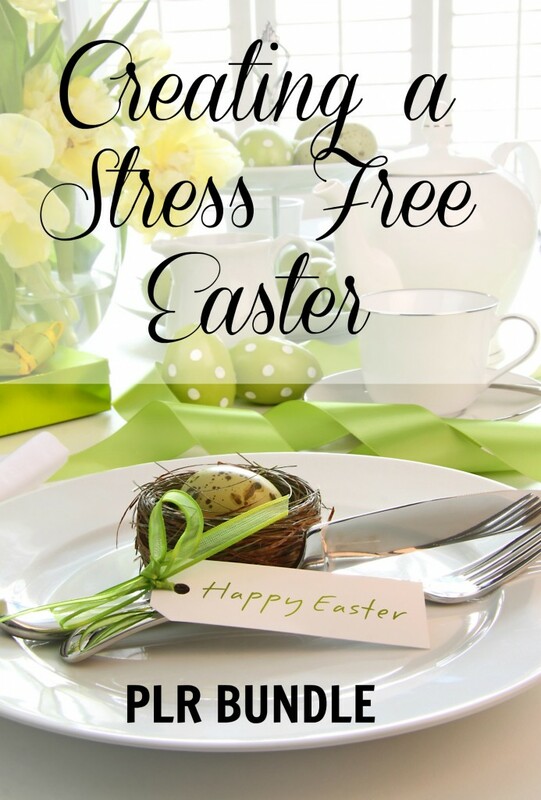 Hosting an Easter celebration can be a lot of work and just the thought of it might stress you out. Well… there's good news. It doesn't have to be that way. 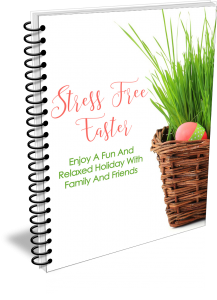 You can enjoy a relaxing and stress-free Easter Celebration and that's what this PLR bundle is all about. 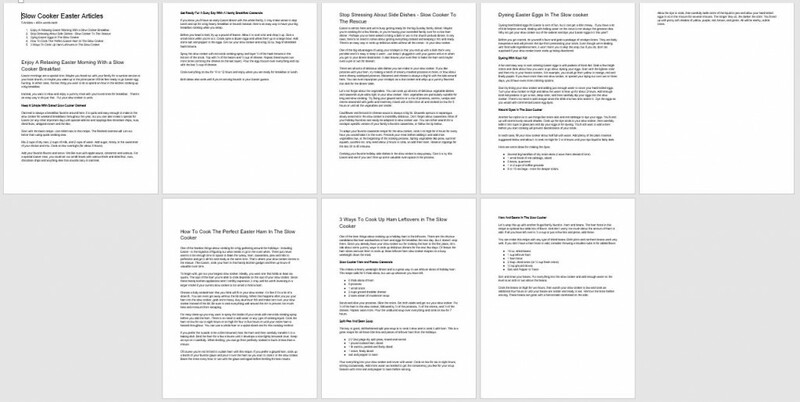 We've written a short report for you that will show your readers how to deal with everything from planning to using up leftovers. Then there are 5 articles you can post on your site or use in your email marketing. And we have 8 yummy recipes (using your slow cooker) for you that will make food preparation a snap. Build your list with the included short report, post the articles to your blog and share the recipes with your community. Share this content with your readers and help them achieve an easy, stress free holiday. 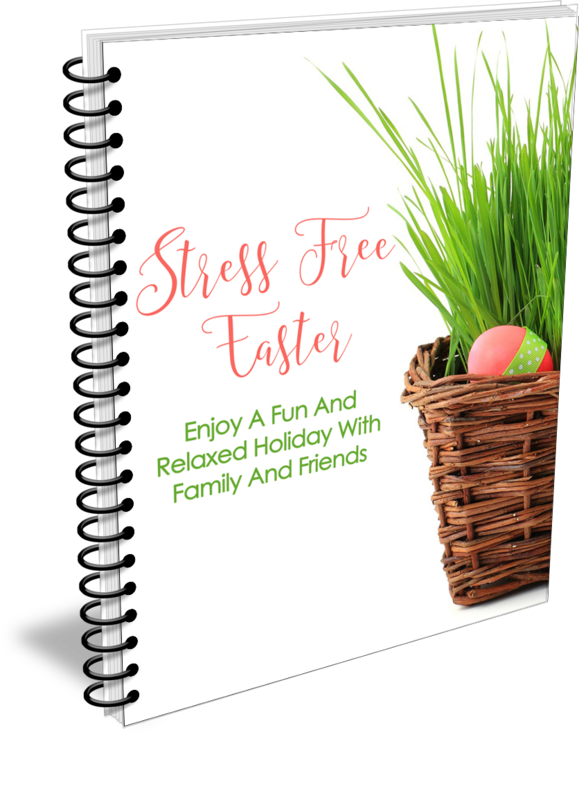 It all starts with a short report on how to have a fun & relaxing Easter holiday. Use this as an optin offer or turn it into a low cost product. This professionally designed cover comes in PNG/JPG and PSD format. You get a flat document graphic and a 3d promotional graphic too. If you want to help your readers change their lifestyle and get healthy, you can get this incredibly value-packed bundle for only $17. That’s way less than you’d pay a quality ghostwriter to write just one article for you. 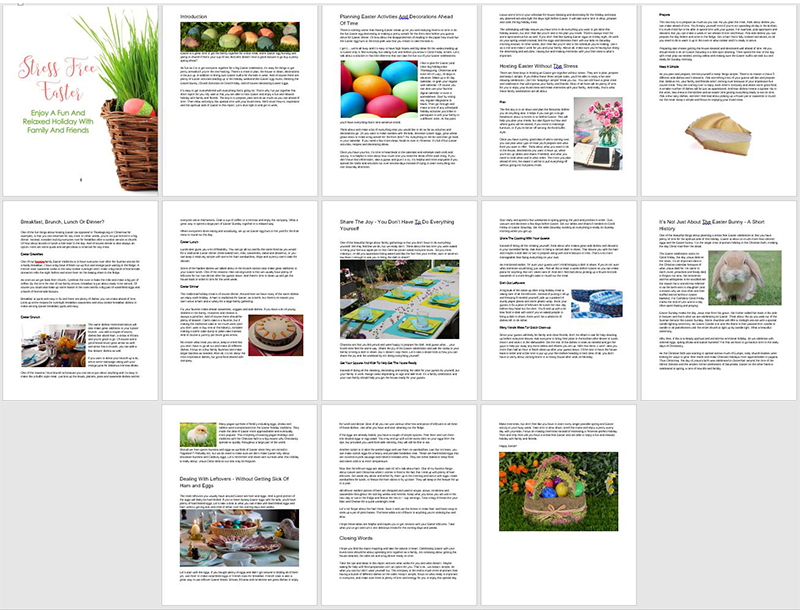 That's a total of 1 short report with cover graphic, 5 articles (400+ words each) and 8 recipes for just $17. Give your readers the content they are looking for!